This is my first author panel. 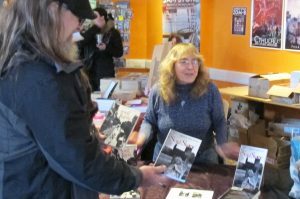 It was at Sci-Fi Weekender 8 in North Wales in 2017. As I was asked to take part in the panel at fairly short notice, I was dressed as a Weeping Angel (it is a Cosplay event!). 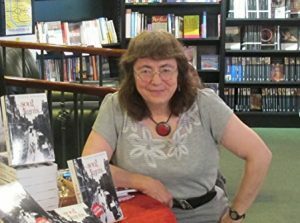 However the costume was not entirely inappropriate since the central characters in my novels include a hapless pair of guardian angels – Thren and Tor. When thirteen students at a party hold a séance just for a laugh, they have no idea of the terrifying consequences, unleashing evil across the city. By the end of the week, one of them will be dead, another as good as, and a third will have lost their soul. Their only hope is a probationary guardian angel, Thren, who’s been sent to look after them as a punishment for his bad attitude, and his prim and proper mentor, Tor. Time is running out for the students and only Thren can save them. The question is, will he want to/can he be bothered? 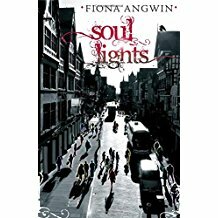 Soul-lights is a sparkling, darkly comic tale of angels and demons, students, warring clergy and the walking dead, set in the cathedral, university, zoo and historic city of Chester! Three months after being attacked by a demon, the survivors of a group of students are still struggling to come to terms with what happened. However Thren, their hopeless guardian angel, blames his own initial wisecracking and casual attitude for what went wrong. Not even Tor, his rather annoying fellow angel, can lift his spirits, especially as she’s busy worrying about who her own charge, Bex, is dating. Thren begins to go into meltdown while attempting to protect the whole of the City of Chester, and the students in particular, from danger, and things start to go wrong again. Demons find another way to come through from The Darkness, but this time the stakes are even higher….putting not just the students, but the whole world, at risk. Thren is discovering angels have feelings (who knew?) and it’s killing him! 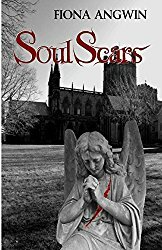 Soul-scars is another darkly comic tale of angels, demons, imps and celestial consequences set in the City of Chester!